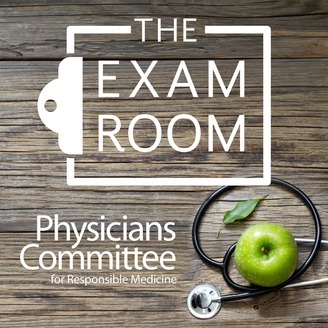 A vegan podcast from the plant-based nutrition experts at The Physicians Committee. Dr. Neal Barnard and Chuck Carroll, who lost 265 pounds, motivate and inspire both new vegans and those who have been plant-powered for life. Learn the secrets to radically improving your health as Chuck, aka “The Weight Loss Champion,” goes one-on-one with others who have transformed their lives. Dive into the science of a plant-based diet and out what eating a single hamburger can do to the body and whether cheese can really cause cancer. True story: A woman is overjoyed to learn that not only is she pregnant, but that she’s carrying twins. Then doctors make a devastating discovery. One of the children has developed a fatal birth defect and will not survive long outside the womb. The news is soul crushing. But the woman and her husband are determined that their child’s life, however brief, will have great purpose. Prior to giving birth, they arrange to donate the boy’s eyes, organs, and blood to medical research. And the impact of those gifts would turn out to be extraordinary. Countless lives are now being positively impacted because of the couple’s heart-wrenching decision. Indeed, his short life touched more people than many who inhabit the earth for 80 years or longer. They did not realize it at the time, but the impact would also extend beyond human life as the lives of countless animals would also be spared because of the donations. 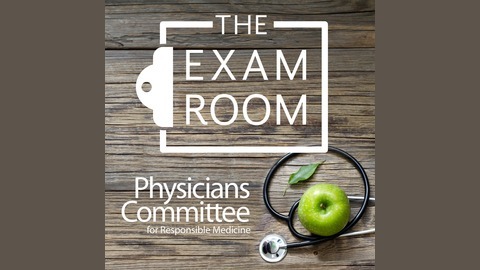 On this special episode of The Exam Room™ Podcast, "The Weight Loss Champion" Chuck Carroll sits down Sarah Gray who details an emotional journey that began before birth and continued on long after the death of her son, Thomas, as she tracked down the researchers were using the organs as part of trailblazing medical science. Gray has also chronicled the story in the book A Life Everlasting, which she dedicated to Thomas. Chuck is also joined by Kristie Sullivan who is the Vice President of Research Policy for the Physicians Committee. She has interesting insight on the specific diseases that are benefitting from organ and tissue donation, including the leading forms of cancer. Kristie also details how animals can be spared from medical research because of your decision to donate! Please pass along what you’ve learned on the show by sharing it with a friend and by subscribing on Apple Podcasts, Spotify or many other podcast providers. Also, please leave 5-star rating. What If The Whole World Went Vegan? Keto Diet: Stinky Side Effects!